A recent case judgment coming out from the High Court in Grenada indicates how devastating the tortious offence of defamation could be. 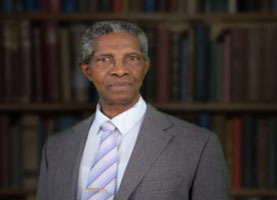 In that case the complainant, Dr Patrick Antoine was awarded compensation against Lloyd Noel in his capacity as a columnist, and Grenada Today newspaper, in the amount of $575,000. This is the highest amount of damages which have been awarded in Grenada in a case involving defamation. This judgment helps to lay focus on what really constitutes the balance between freedom of expression and defamation. Section 10 of the Grenada Constitution provides that no person shall be hindered in the enjoyment of his freedom of expression. However the section acknowledges that the reputation, rights and freedoms of other persons must be protected. Article 19 of the United Nations International Covenant on Civil and Political Rights to which Grenada has been a part since 1991 has also made similar provisions. The Libel and Slander Act of Grenada gives general guidance as to how to deal with the offence of defamation. Defamation is a catch-all term which incorporates the offences of libel and slander. Libel refers to a false statement made against the reputation of a person or persons in a permanent form such as in a newspaper, a book, or other printed material. This may also include publication on the Internet. Libel is actionable per se, which means that the law presumes that damage has been caused to the reputation of the complainant and that he or she ought to be compensated for that in any event. The complainant may even be awarded special and exemplary damages in certain situations. Slander is a defamatory statement in a transient form principally by means of spoken words or gestures. With slander, the complainant will only be awarded compensation in special circumstances such as imputation of crime or imputation of being diseased, or if it is shown that actual damage has been caused such as loss of a job or refusal of credit facility at a bank. In order to prove the offence of defamation, the complainant must show that the words used were defamatory as a matter of normal interpretation or by innuendo; that they referred to the complainant; and that the words were published to at least one other person other than the complainant. However, there are a number of defenses which are available to a defendant. He or she may show justification if proof can be established that the alleged defamatory words were true in substance. A defense of fair comment may also be used on a matter of public interest. This defense seeks to preserve the right to freedom of expression, however, this defense may be extinguished if the complainant can prove that the defendant acted with malice. Moreover, the statement must be a comment or opinion and not an assertion of fact and it must be based upon true facts. Absolute and qualified privileges may also be used as defenses where reports are made about proceedings in parliament or in a court of law. Besides having absolute defenses, a defendant in accordance with section 9 of the Libel and Slander Act may claim that the published words which are alleged to be defamatory were innocently published and may make an offer of amends which a complainant is free to accept or reject. If accepted then an appropriate apology would have to be given by the defendant together with other undertakings. If rejected, then the offer may be used by the court in order to mitigate damages in case judgment is given for the complainant. In any event, section 10 provides that a defendant who has apologized for the use of the alleged defamatory words may give that fact in evidence in mitigation of damages. It is always advisable that defendants in such matters seek to have a settlement by the process of mediation. In general, damages which are settled in mediation are much less than court awarded damages. Despite all of this, it is always incumbent on journalists, newspaper editors and others involved in the publication of materials to adequately establish an acceptable balance between freedom of expression and defamation.